Created to be enjoyed by the littles in your tribe. 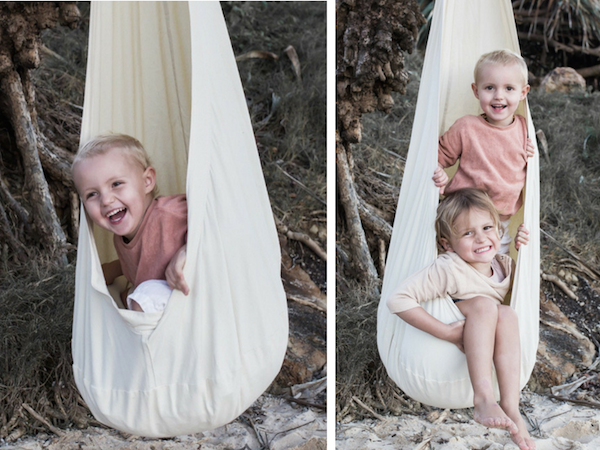 Our Little Sols hammock has been designed as a playful swing that can also offer a calming sanctuary after big adventures. We’ve been so overwhelmed with the response to these swings, mums and kids are loving them! 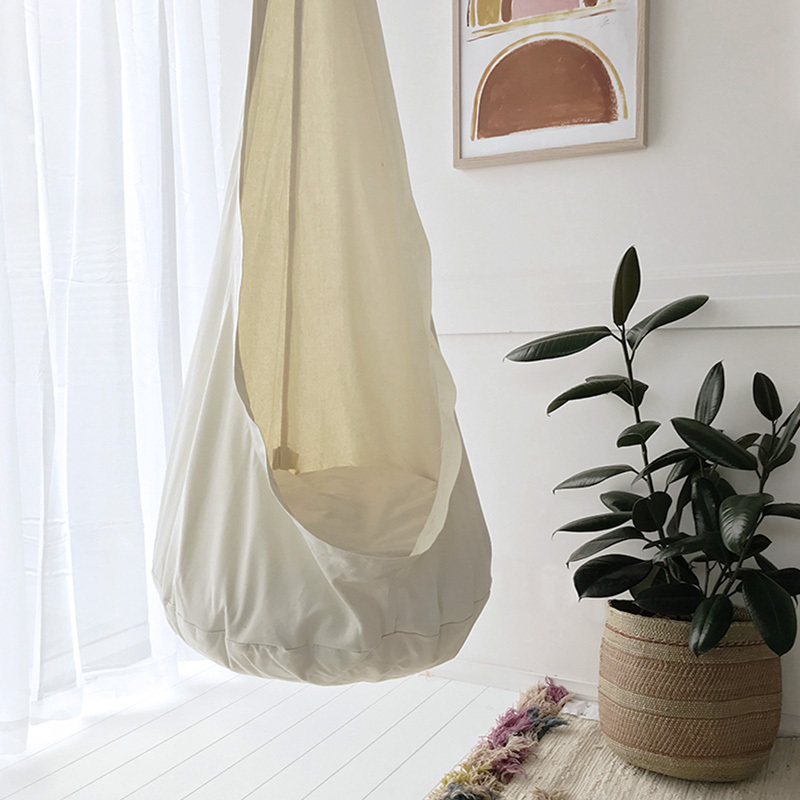 Let your babe play, swing, rest and calm in this swing! The Little Sols hammock swing is a great way to support your little ones sensory integration. Sensory integration is the process of our brain organising and integrating the input from the senses in our body, such as touch, movement, and body awareness, just to name a few. For most this comes easily but for some kids with autism or learning difficulties, distortions in these senses can be quite normal and can lead to developmental and behavioural disorders. Enter the hammock swing. Our Little Sols hammock can help with sensory integration in children as a form of therapy. The swinging motion restores balance to the vestibular system helping children feel more ‘in balance’. The motion of the swing also soothes, relaxes and increases concentration. Swinging in the Little Sols hammock can be extremely calming to kids! 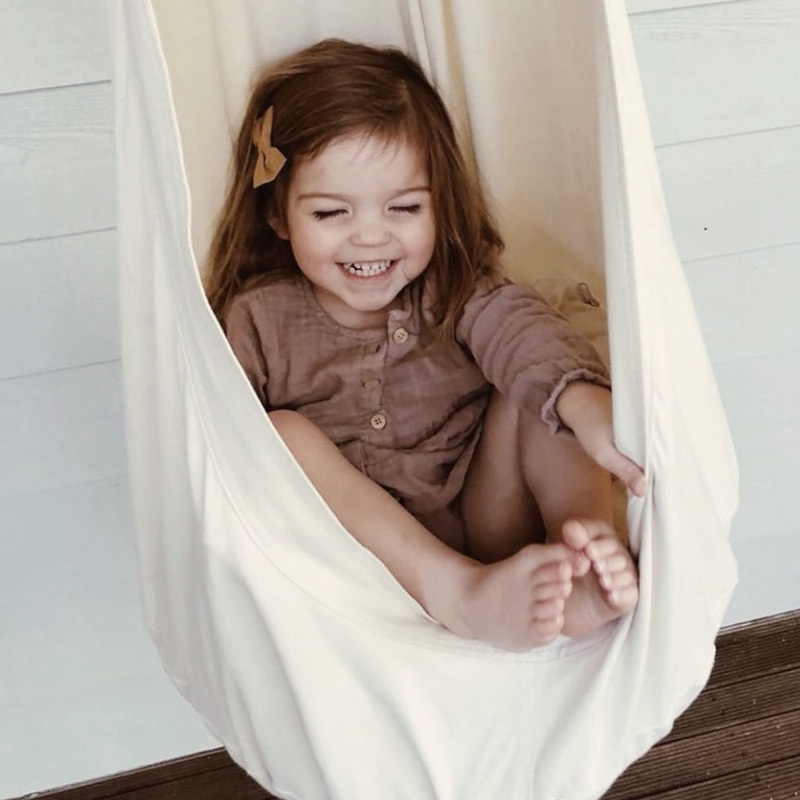 Just a small amount of time spent swinging stimulates the inner ear creating a calming effect on your child – surely every parent could do with that at some point during the day (hello witching hour). Not only this but the swinging motion actually releases endorphin levels, elevating your little one’s mood – bonus! 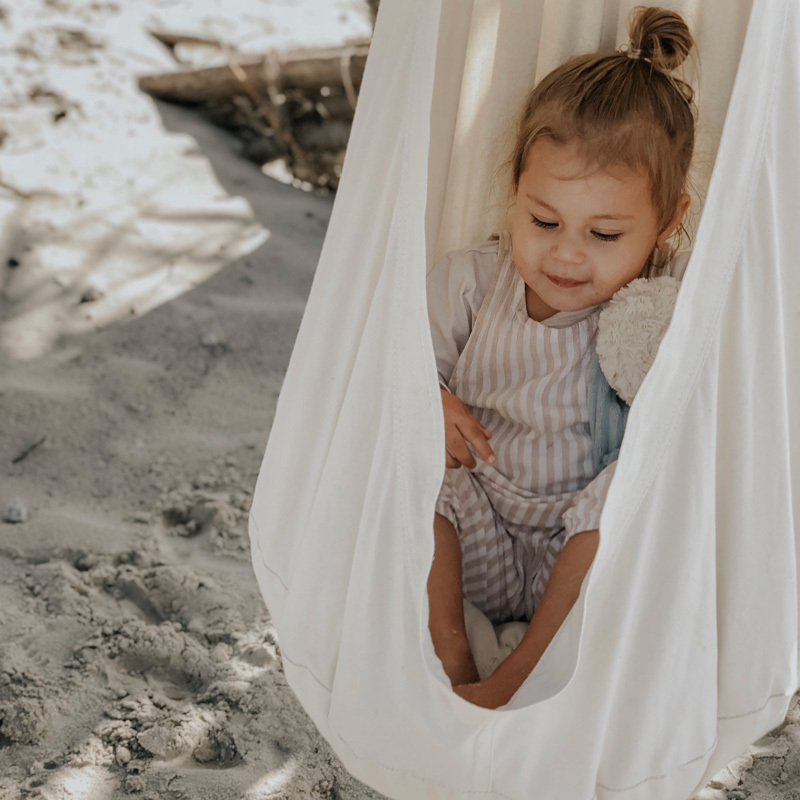 Unlike a traditional swing, a hammock swing creates a cocoon-like environment around your child, giving them a feeling of security. 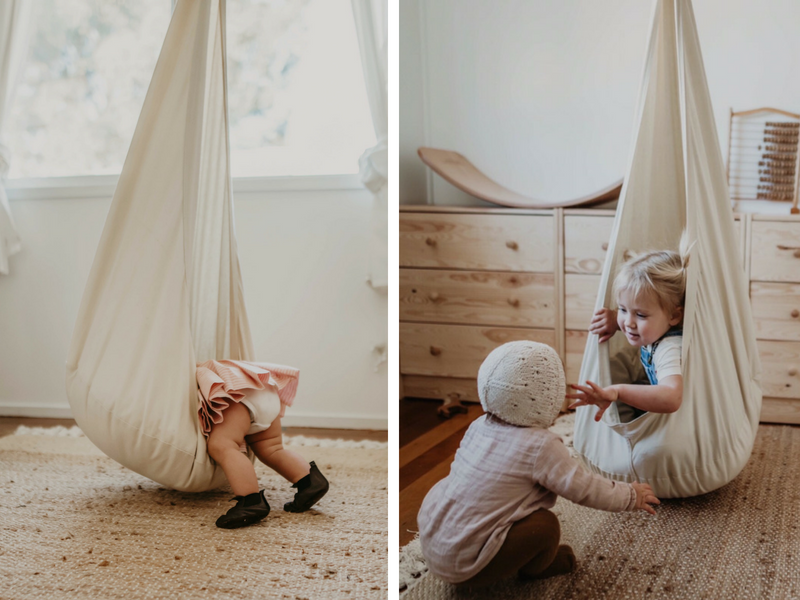 On top of this, the rocking motion also adds to the sense of comfort and security, perfect for your little person if they’re feeling overwhelmed and need a place to retreat or simply want to play.